There’s a reality show on NBC that showcases a variety of performers who compete for viewers’ votes to keep moving forward. Weekly winners advance towards the grand prize of landing a headline show in Las Vegas. I have to admit that mixed in with some really goofy acts, there are some real diamonds in the rough who are really talented and discovered through their appearance on the show. This post isn’t about them. 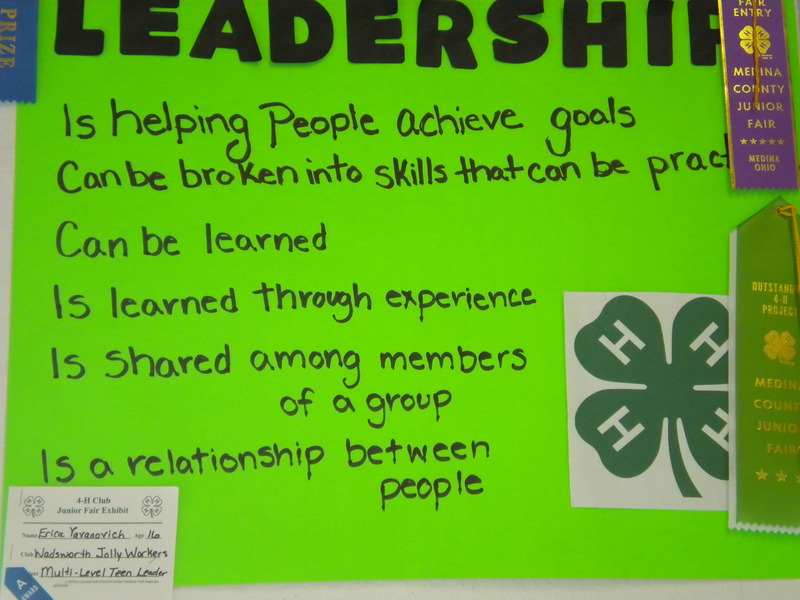 Last week, I wrote about the preparations for the Medina County Fair and what a big part 4-H and the fair played in the education of our children. This past weekend, my wife, Lisa and I did something we haven’t done since we’ve been married; we spent six hours together – just us, no kids, at the fair, enjoying the sights, sounds and food. It was a fun day, and we re-discovered the real talent developing in our future leaders. 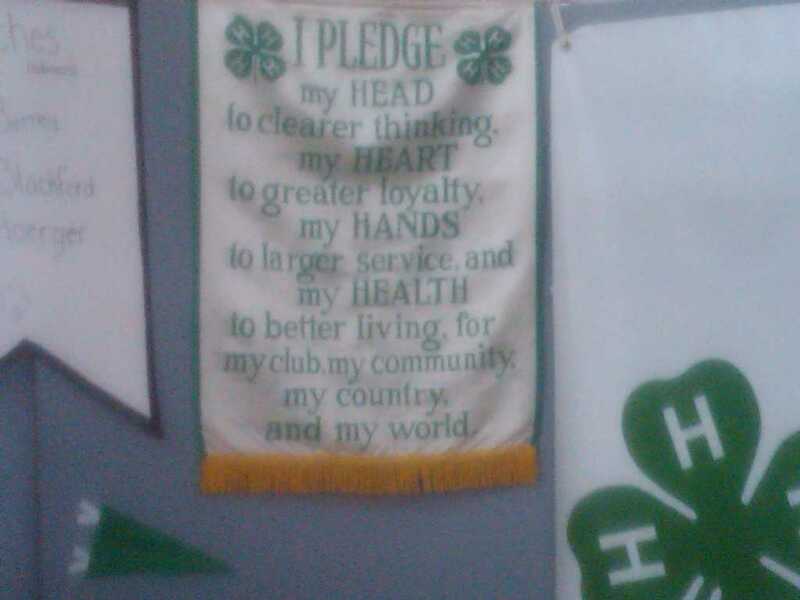 We started our day with a trip to the 4-H booth building that I wrote about last week. The theme for this year’s fair was “Pride”. 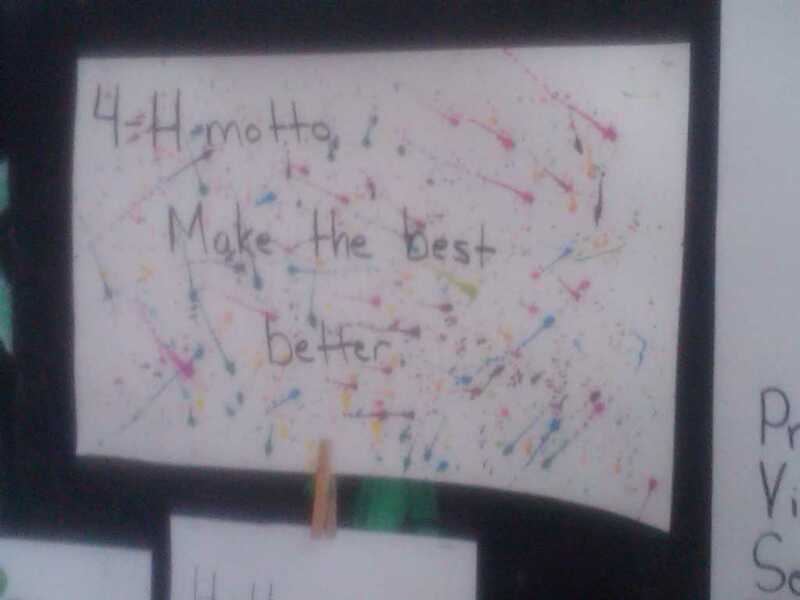 Some clubs exhibited pride in the projects they worked on and included quotes from club members on what they were most proud of. 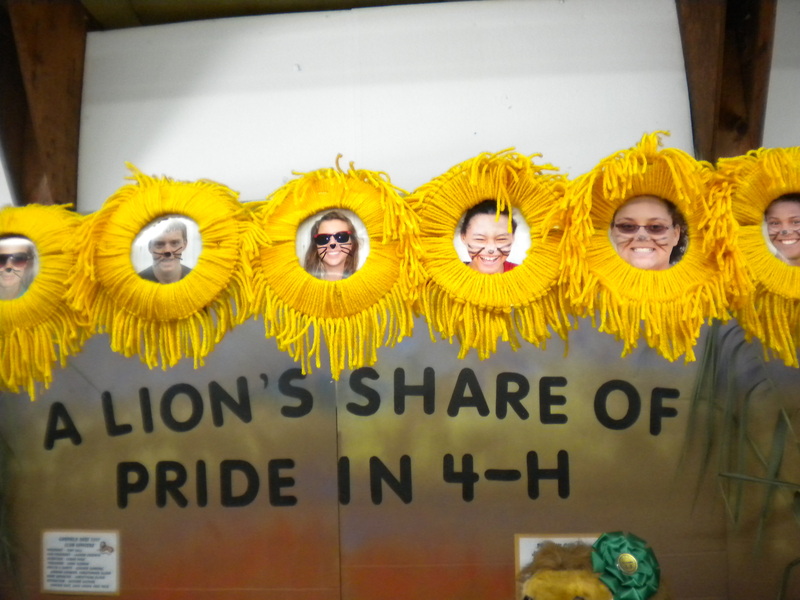 Other clubs interpreted the Pride theme by referring to their clubs as a Pride of lions. There were so many references to key #lean leadership principles evident throughout the booths. Here are a few of my favorites. 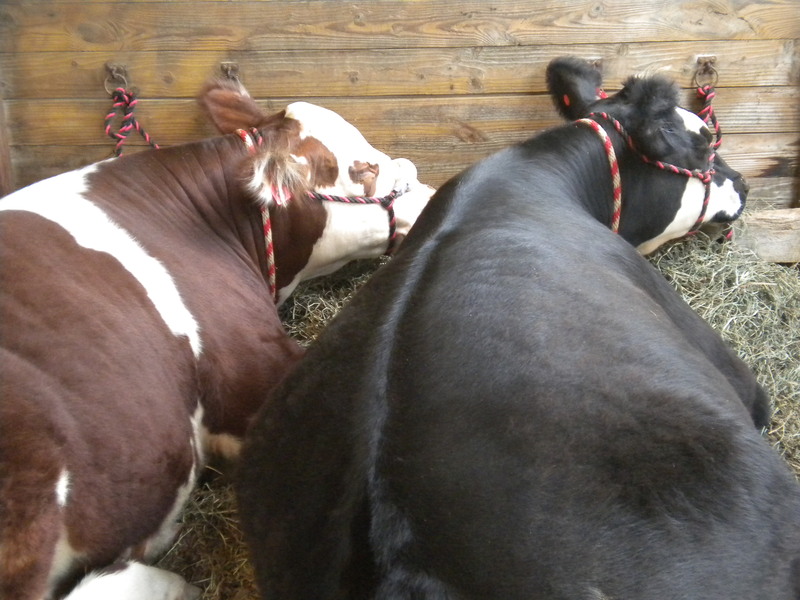 Next, we went over to the livestock show barn where the annual auction of animals takes place. Kids who have spent the last year caring for cattle, pigs, sheep, turkeys, and other varieties of livestock, learn one of the toughest lessons in life and leadership – letting go. The reward for their hard work is a nice payoff for their investment of time and effort. 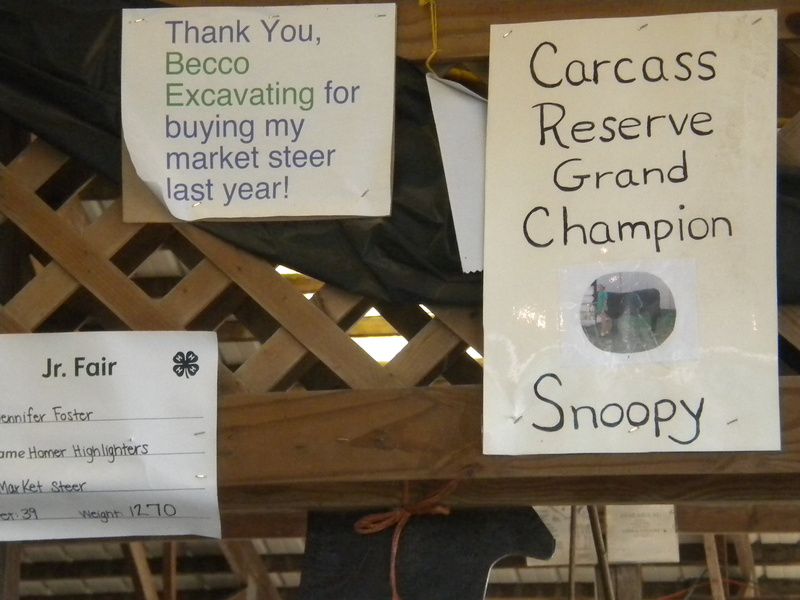 My son’s girlfriend and her family have been raising cattle and turkeys for years and this year, her younger sister’s cows won Champion County Born and Raised and Reserve Grand Champion carcass. Listening to the auctioneer is pure entertainment as he works the crowd to gain that extra nickel per pound for the 4-H’er. This represents college tuition to many of the kids. They work hard for it and earn a nice reward. Next up, the open class still exhibits where my daughter, Sara, (who only started knitting a little over a year ago), proudly displayed articles of clothing she has knit for her children. 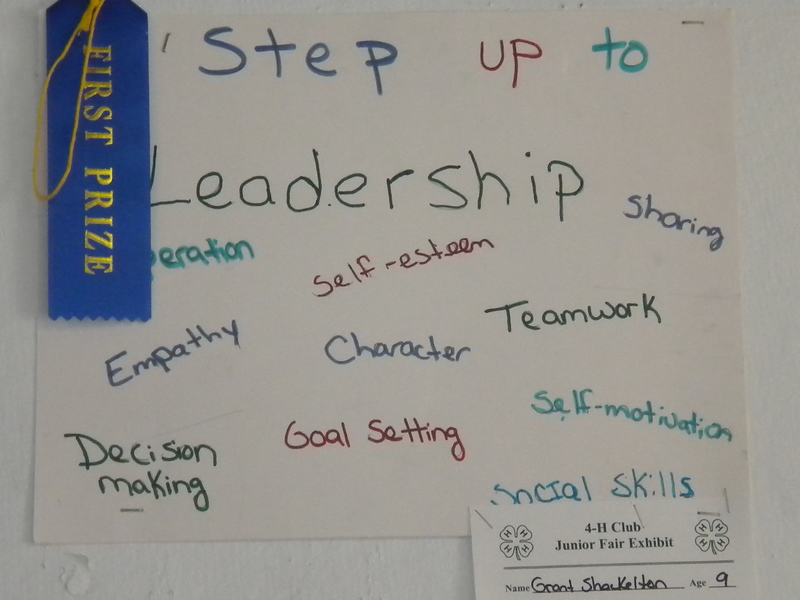 Sara’s projects earned her a First place and several other second and third place ribbons. 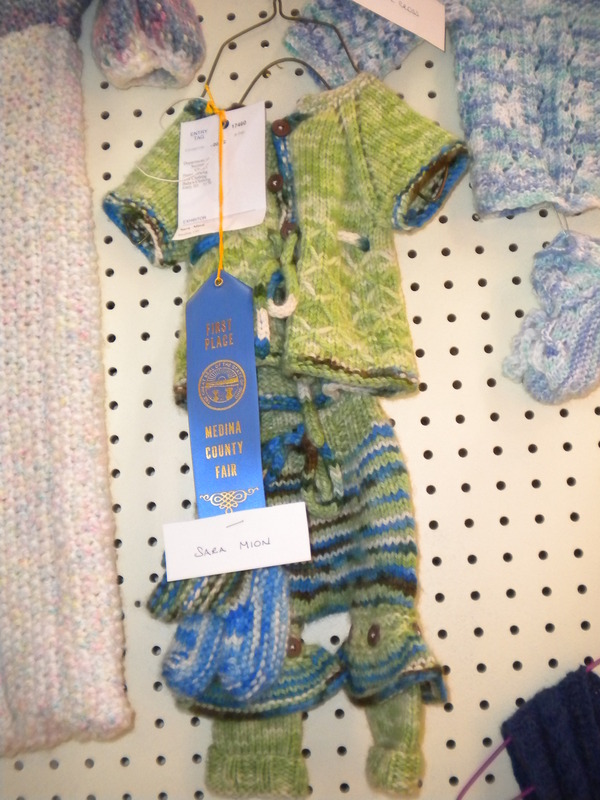 She can now proudly call herself an award-winning knitter. 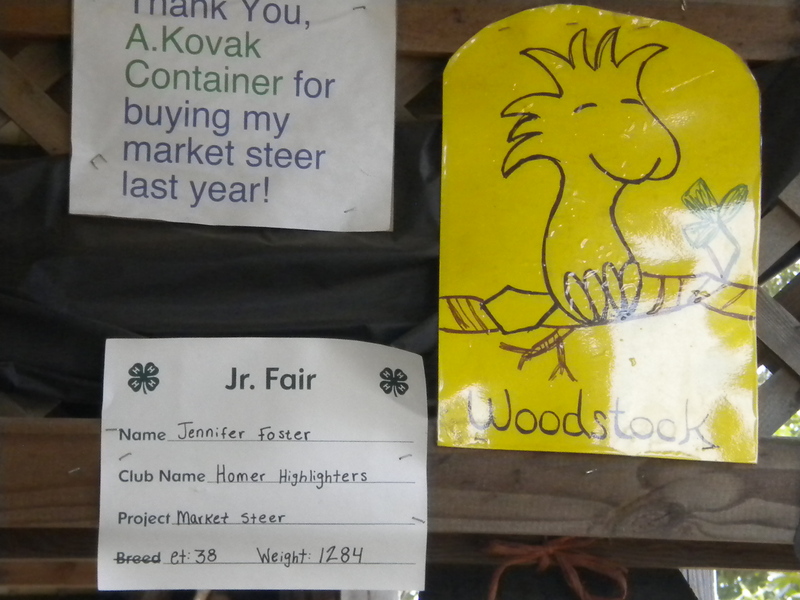 Actually, one of her projects won a ribbon at last year’s fair, so she was already an award winner. You can see some of her work here and make a purchase if you’re interested. While we were looking at the still exhibits, the Dock Dog competition started. You may have seen these competitions on television, where dogs leap 20 feet through the air off of a dock and into a pool of water chasing after their favorite toy. These dogs are fun to watch. 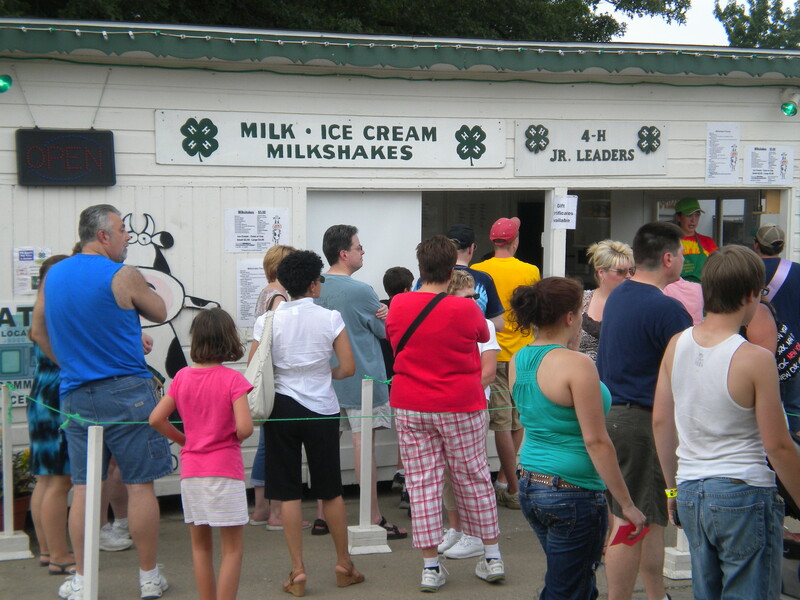 By this time we had worked up an appetite and there is no better food than fair food. 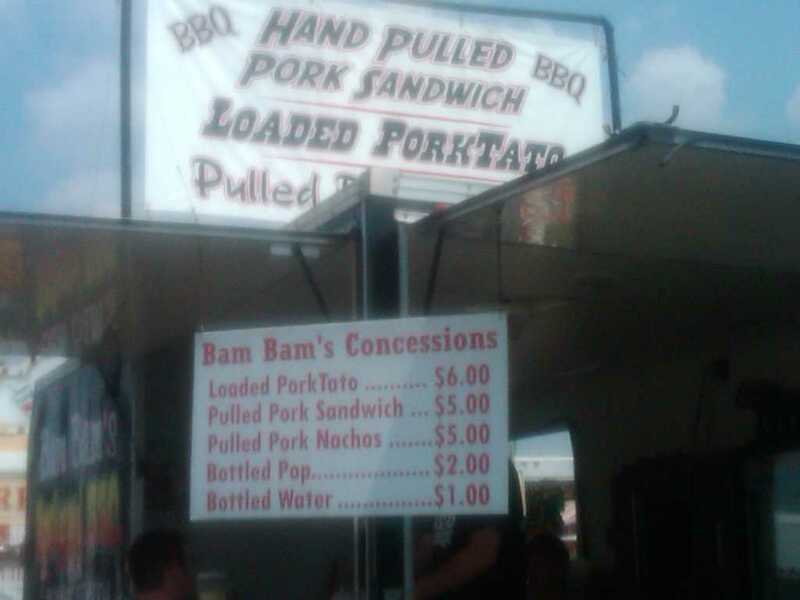 My doctors at the Cleveland Clinic might think otherwise and I know that I will have some explaining to do at my Weight Watchers meeting this week, but the “Porktato” that we shared was a real treat. 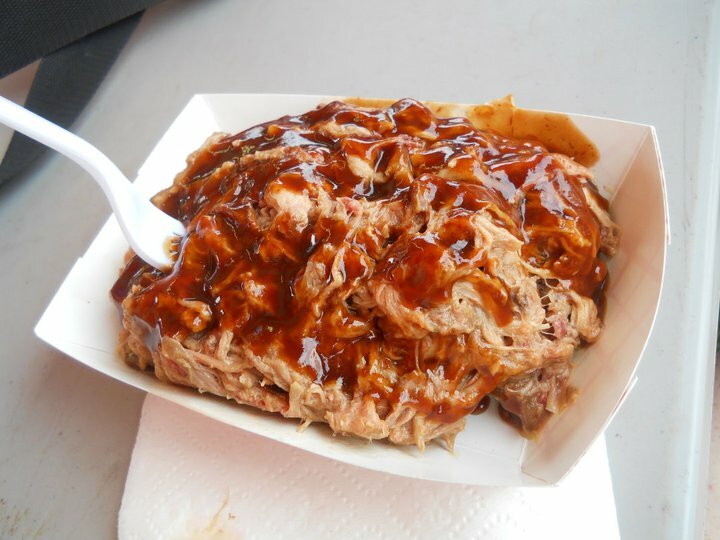 It starts with a large baked potato, topped with butter, sour cream and finally smothered with smoked pulled pork and barbecue sauce. A lemonade to wash it down was welcomed on a hot, muggy day in Northeast Ohio. 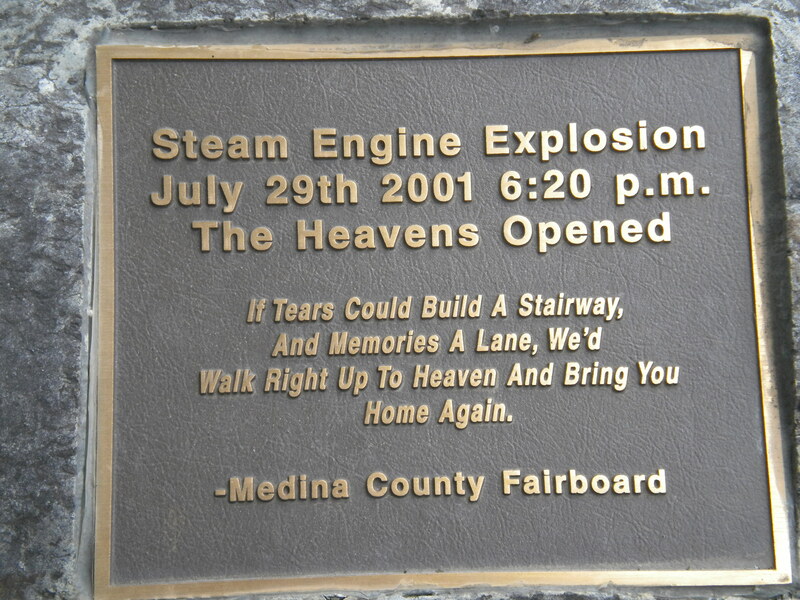 After getting re-fueled, we visited the memorial site for the victims of the steam engine explosion I wrote about last week. 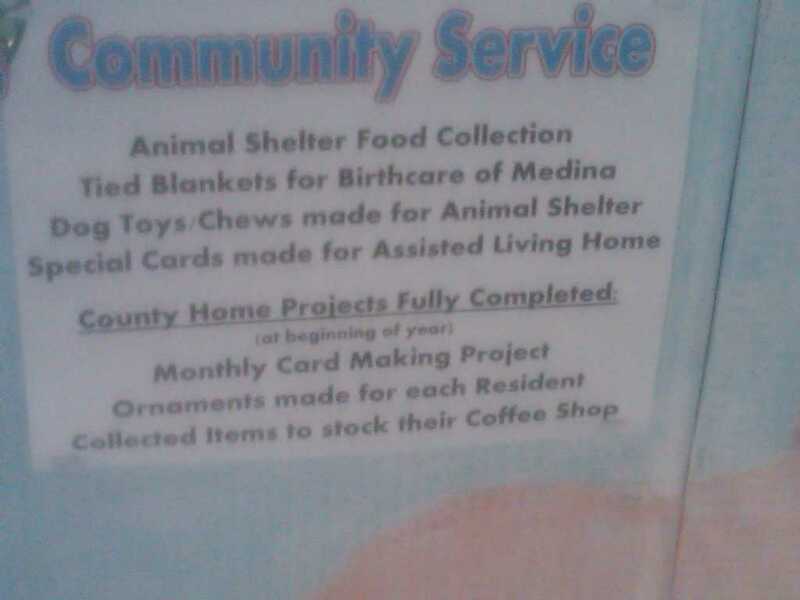 It was touching to see how nicely the community has pitched in to keep the memory of these neighbors and friends alive. Next up, the animals. Every year, there are two mother pigs with their litters of about 10 baby piglets nursing an d playing in their pens. Stayed tuned for a future post on how my favorite bedtime story to read to my kids as they were growing up – Charlotte’s Web, played a big part in my understanding of lean. Sheep, goats, pigs, horses, dairy cattle, rabbits and poultry were all on display for everyone to see up close and personal. 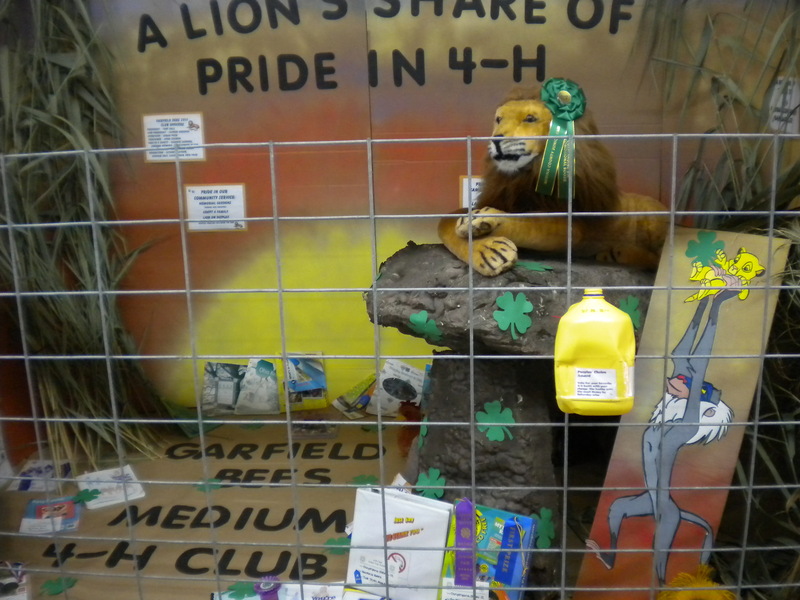 The agriculture building is where we saw one of our favorite displays, the Medina County Beekeepers booth. A plexiglass display case houses a demonstration beehive, enabling fair-goers the opportunity to watch the bees work and challenges them to “find the queen”. 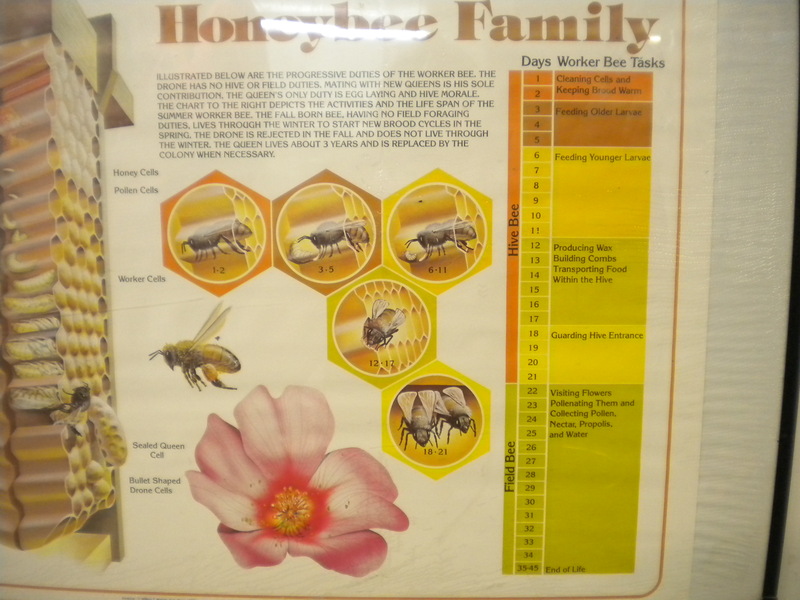 Many years ago, I got started in beekeeping while helping my son’s with their 4-H beekeeping project. 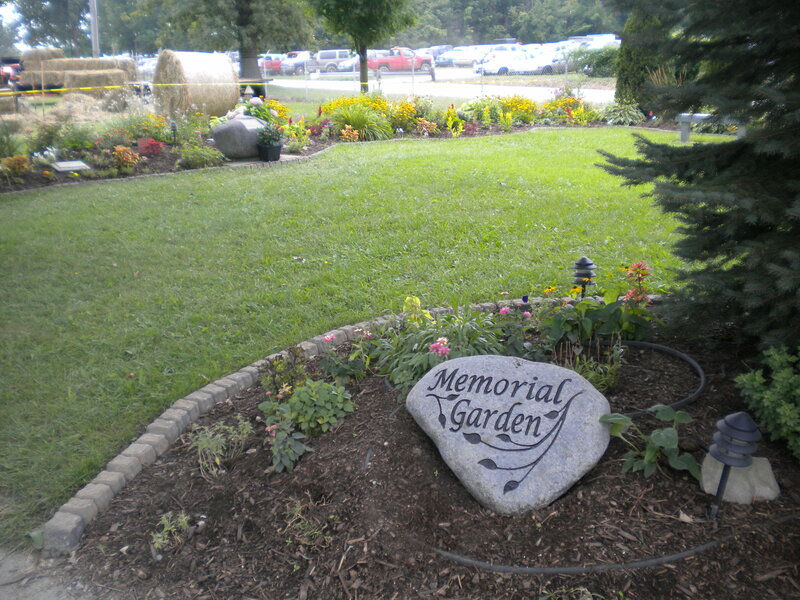 Medina, our hometown, is the birthplace of the modern beekeeping industry. A.I. Root developed many of the hive technologies that are currently used by beekeepers. 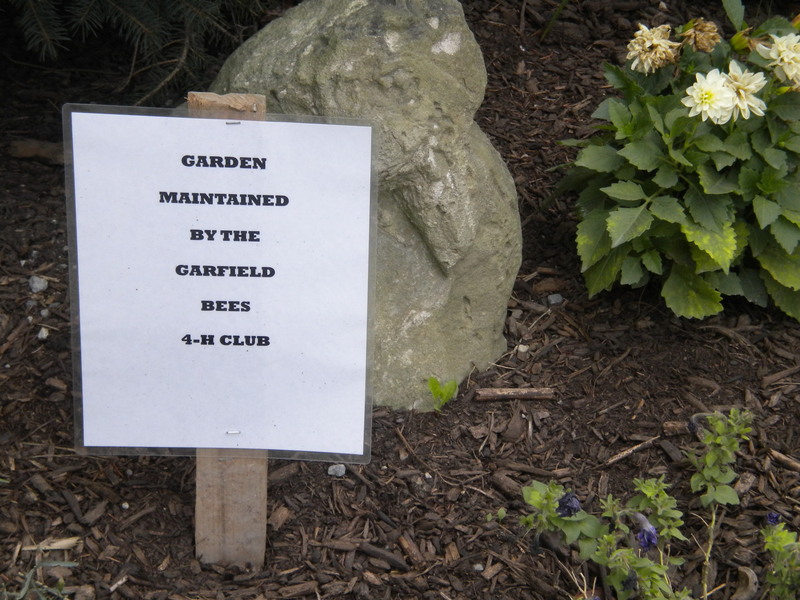 While learning about bees, I discovered the secret to their success in keeping their hives vibrant and productive. They have clearly defined roles and responsibilities for each bee in the hive (standard work) and their communication systems are outstanding. While working at Ford, a swarm of bees found their way to the back of our building. I assisted a co-worker who was also a beekeeper in capturing the swarm and then wrote an article for our monthly newsletter about the teamwork displayed by bees. I’ll post that here soon. Finally, after getting some kettle corn and a milkshake (strawberry) from the 4-H milkshake stand, we settled in to watch and listen to a fiddling competition. 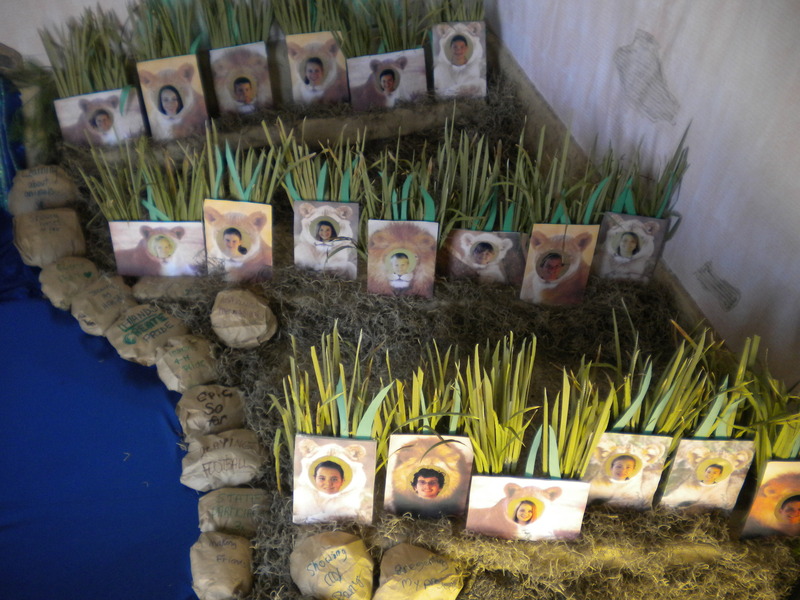 Contestants competed in four categories – Youth, Junior, Senior and Open classes. Kids and seniors all played well, but it was the open class where some very good fiddle players showed off their talent. It was a real treat to sit and listen to them under the shelter of a pavilion when the skies opened up with a deluge of rain. The highlight came at the end of the competition when all of the players got together onstage for a jam session. Yes, there are troubles in the world where competing values struggle to find alignment. This past weekend, however, we experienced a place where values aligned, talent was showcased and we confirmed that America does have talent! You are currently browsing the archives for the 4-H category.